Born in Innsbruck in 1917, Ettore Sottsass Jr. graduated from Turin Polytechnic in 1939. For some years he worked with his father, Ettore Sottsass Sr., who was an important figure in pre-war Italian architecture. In 1958, he began his collaboration with Olivetti, which gained him four Compasso d’Oro awards. From 1957 onwards, as artistic consultant for Poltronova, he designed items of furniture which were to provide inspiration and direct reference points for the experimentation of the Radical Architecture movement. During the same years, he also began his work with ceramics: an investigation into colour and materials, as well as into the figurative language, which he would continue in parallel with his other experiences and his work in design and architecture. 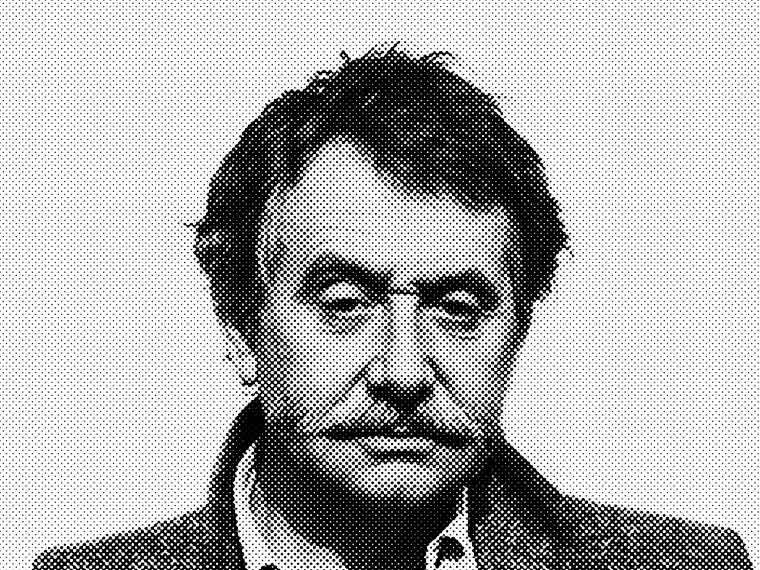 Sottsass was a (possibly involuntary) forerunner and figure of reference for “radical” experimentation. He participated actively in the theoretical debates of the radical movement and was among the protagonists of the exhibition “Italy: The New Domestic Landscape” held in 1972 at the Museum of Modern Art in New York. He was one of the founders of Global Tools and later of Alchimia, an experimental workshop group that had as its aim the translation into practice of the theoretical investigations carried out during the “radial” years. With Memphis, a design “laboratory” founded in 1981 in which famous designers and emerging young designers collaborated, he contributed to the renewal of the visual culture of taste and fashion in domestic furnishing. This role of fundamental innovator of the language of contemporary design was recognized on a international level from the early 1960s onward, with his participation in individual and collective exhibitions in the most prestigious museums. He has written extensively and, in more recent years, published books of photography. With the foundation of Sottsass Associati in 1980 (with Zanini, Thun and Cibic), his activity in the field of architectural design increased. His architectural works, realized together with his young associates, are to be found not only in Italy and throughout Europe, but also in Japan, China and United States.